Stellar Phoenix Windows Data Recovery is an advanced data recovery tool that can easily recover your lost or deleted files, documents, emails, audios, videos, and photos - from any kind of storage media - hard disks and external media devices. It allows you to recover even after severe corruption of the drive and other data loss events caused due to accidental formatting and deletion. With this tool, you can deal with all aspects of data loss, including accidental media formatting, disk corruption, and unintentional deletion of files. 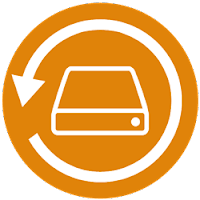 It supports recovery from FAT, NTFS, and ExFAT drives and partitions and recover of more than 300 file types to offer high degree of scalability. The powerful scan engine of the software does a thorough scan of the selected storage device, shows a preview of files found during the scanning process and finally saves them to specified destination. Separate options to recover documents, folders, mails or multimedia files from the storage media is also available. Home - For home or individual users. Allows free 1GB Data Recovery. Professional - For professional users. Technician - RAID Data Recovery, suit all hard disk recovery needs of technicians and advanced Windows users - secure and risk-free data recovery from RAID 0, RAID 5, and RAID 6 arrays. Disclaimer: Direct downloads for the lastest version of Stellar Phoenix Windows Data Recovery 7.0.0.2 are provided by the official software's author, we can't guarantee safety, availability or download speed. Moreover, we don't and we won't provide any pirated/illegal versions or tools. We recommend you to avoid it as these methods can harm your device. If you like the software, buy it to support the developers. (We provide software discounts for many worldwide brands).